Also on repeat: this fruit pizza, this salad, and this charcuterie board. So, the first time I shared a Vital Proteins' collagen peptides recipe with you (remember this Fancy Ramen Noodle Bowl? ), I talked about how I love collagen as a protein powder -- 18g per serving (woot woot!!) and how awesome it is that you can stir them into hot OR cold liquids. And more recently I shared a salad where the collagen was blended into the dressing (remember this Spring Smoked Salmon Cobb Salad?) and I talked about how collagen peptides are great for gut health. And this time, it's all about beauty. Did you know that collagen improves the health of our hair, skin, and nails? Who doesn't want skin that's nourishing and glowing or nails that are less prone to breaking? 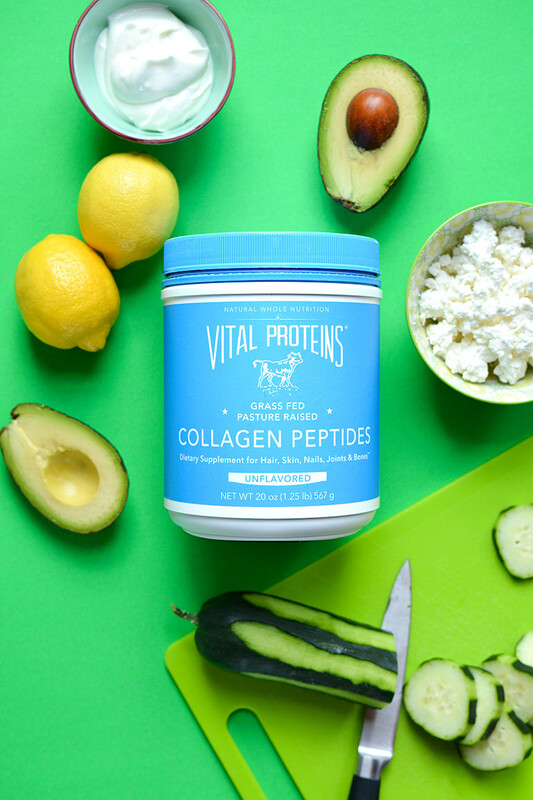 It's not the primary reason I use/love Vital Proteins' collagen peptides... but it's a nice bonus. Like icing on a cake! 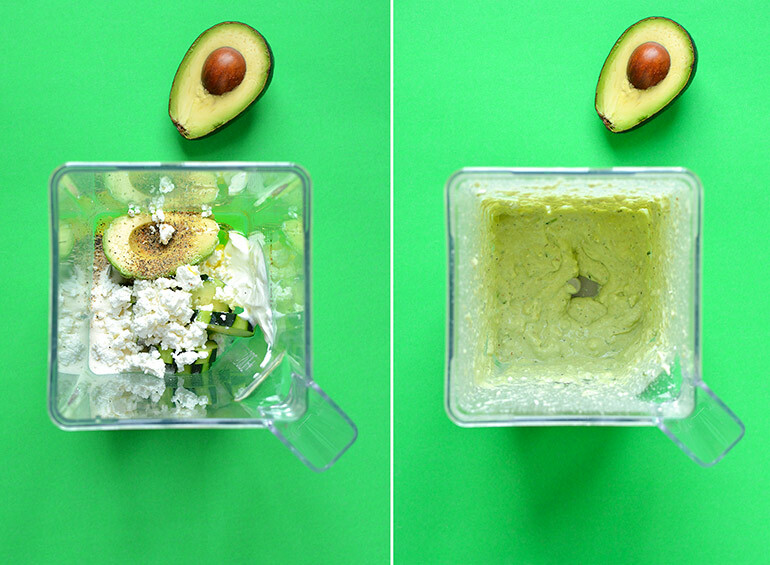 And I love adding in a half avocado where I can for extra healthy fat -- it's good for our brains! I've mentioned it before, but my family is VERY anti-avocado. Where did I go wrong?!?!?!?! So I have to hide it in things for them. I'm not trying to be super sneaky or anything; I just want it to be palatable and devoured. 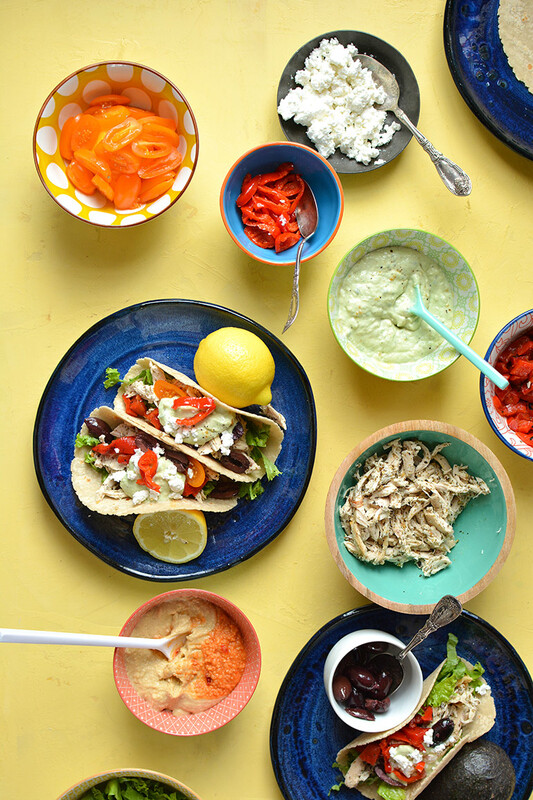 These are great to make for a party --- because everyone can customize their wrap to their liking, and you can prepare all of the toppings in advance. So here's to a summer filled with more play, more conversation, and more connection --- and less time in the kitchen! * A lot of the items can be purchased from the olive bar at the grocery store: olives, peppadews, and roasted red peppers! 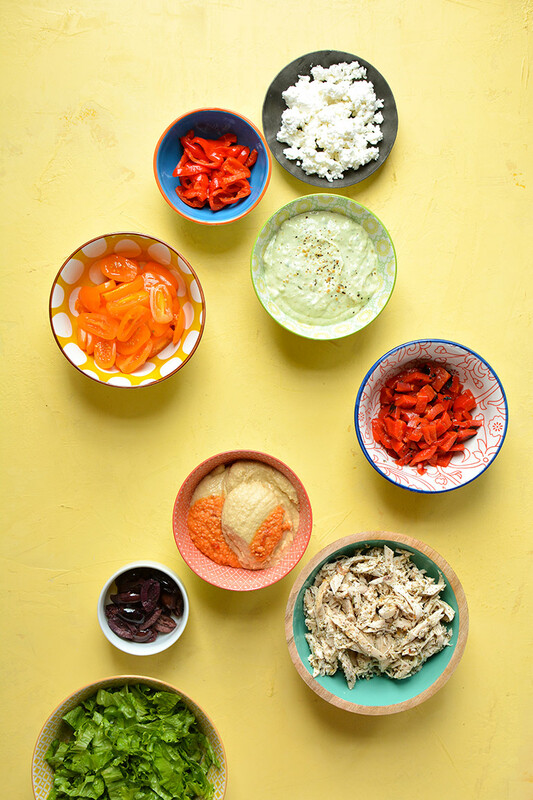 Prepare all of your toppings in little bowls --- so that once the chicken is cooked, you can make your wraps. Shred a rotisserie chicken --- or buy 2 pounds of chicken breasts and cook ahead of time. Then, add the chicken and olive oil and greek seasoning to a large skillet over medium heat. Stir and warm up for approximately 5 - 7 minutes. Then, assemble your wraps! 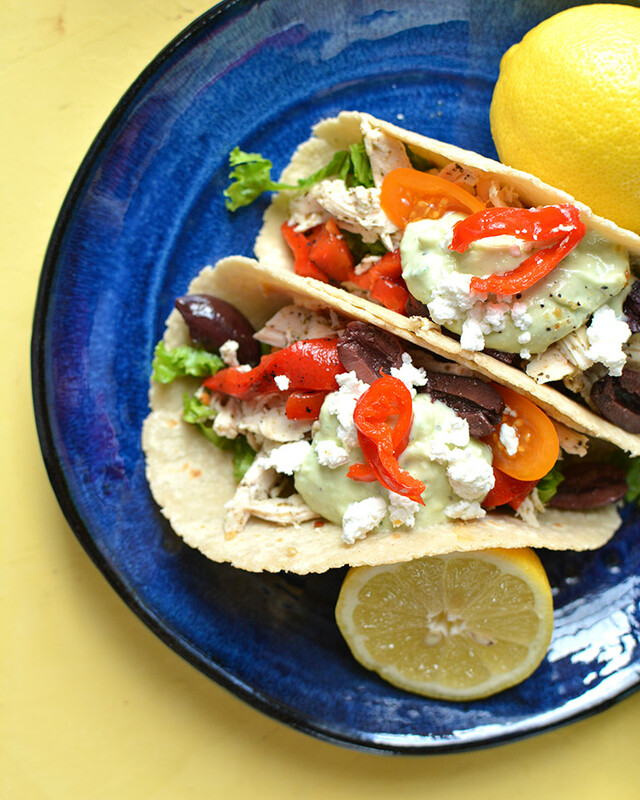 I like to do: a handful of lettuce, a couple spoonfuls of chicken, and then a little of everything else: hummus, red pepper, peppadew, tomatoes, olives, feta, and a big dollop of avocado tzatziki! You can store it in an airtight container in the fridge for up to a week. Pulse until all of the large chunks are gone. Should have a bit of texture though, not completely smooth/watery.